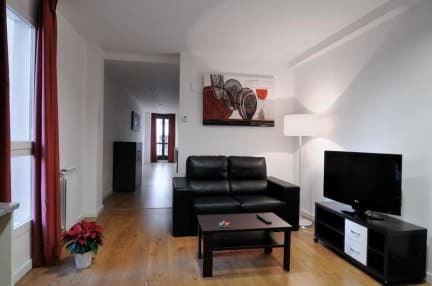 These stylish apartments, located on the same street in central Zaragoza, provide an excellent choice for independence and privacy, in a beautifully reformed 18th-century palace and another listed building. 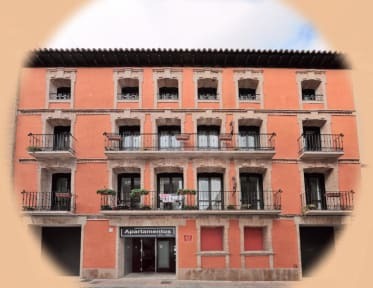 The Casa Palacio de los Sitios is located beside Zaragoza's famous basilica and just 5 minutes from Plaza Espaa. Easily tour the area on foot and enjoy discovering the local shops, bars and restaurants. Interiors are sleek and modern with parquet flooring, contemporary furnishings and well-equipped kitchens great for preparing meals among your friends or family.